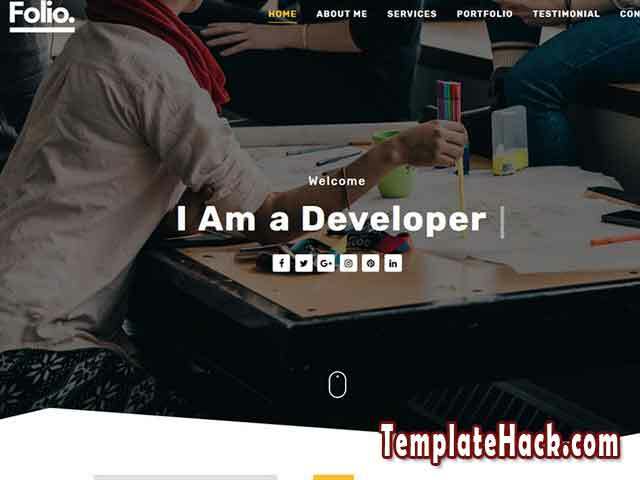 TemplateHack.com - Download Folio premium blogger template. Folio is a unique blogger templates with useful and extra ordinary widget. Folio blogger templates is designed especially for company profile blogger templates, curicullum vittae blogger templates, firm profile blogger templates and many more. 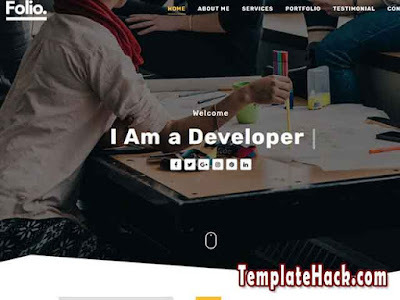 Its look like professional blogger templates adapted from wordpress. This blogger com templates have a responsive designed and compatible with any platform like mobile platform, desktop platform, and tab platform. It is premium blogger templates share for free. Because this blogger theme is best choise to share your resume, school, experience, work, institution, agency, sharity, firm, showcase, product landing page, and each kind of them. With ready ads section, SEO Ready and fast loading, your blog most easy to take on the first page Google with spesific keyword. So, if you will make resume, cv, company profile with blogger, you must use this templates.